Scribner Book Company, 9781501131318, 320pp. 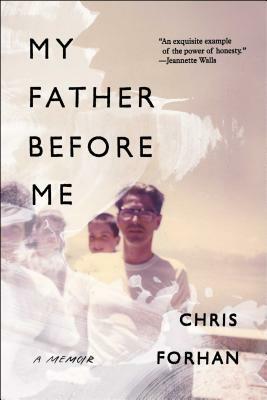 An award-winning poet's "beautifully written" (The Seattle Times) portrait of an American family and his own coming of age in the 1960s and 1970s in the wake of his father's suicide. This memoir "belongs on the special shelves we keep for the books we cannot quite forget" (George Hodgman). The fifth of eight children, Chris Forhan was born into a family of secrets. He and his siblings learned, without being told, that certain thoughts and feelings were not to be shared. On the evenings his father didn't come home, the rest of the family would eat dinner without him, his whereabouts unknown, his absence pronounced but unspoken. And on a cold night just before Christmas 1973, long after dinner, the rest of the family asleep, Forhan's father killed himself in the carport. Forty years later, Forhan "excavates both his lost father and a lost era in American history" (Bookpage). At the heart of this "fiercely honest" (Nick Flynn) investigation is Forhan's father, a man whose crisp suits and gelled hair belied a darkness he could not control, a man whose striking dichotomy embodied the ethos of an era. Weaving together the lives of his ancestors, his parents, and his own coming of age in the 60s and 70s, Forhan paints an "achingly beautiful" (Buffalo News) portrait of a family "in the tradition of Geoffrey Wolff" (Booklist). "Poignant...affecting...Forhan describes his family's healing and acceptance with warmth, humor, and an admirable lack of bitterness" (Kirkus Reviews). A family history, an investigation into a death, and a stirring portrait of an Irish Catholic childhood, all set against a backdrop of America from the Great Depression to the Ramones, My Father Before Me is "an exquisite example of the power of honesty" (Jeannette Walls), "a wonderfully engrossing book...essential for all parents and children, that is, all people" (Library Journal, starred review).